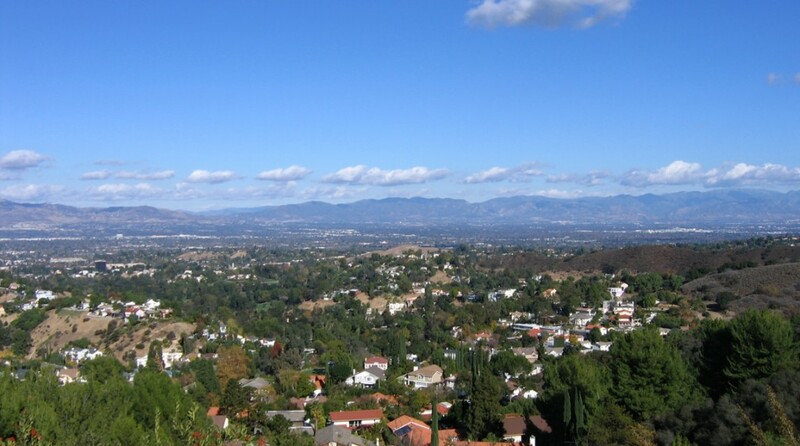 The San Fernando Valley known as The Valley is an urbanized valley located in Los Angeles, California surrounded by Transverse Ranges Mountains. The city lies north of the larger and more populous Los Angeles Basin. The San Fernando Valley is about 260 square miles adjacent with the Santa Susana Mountains to the northwest, the Simi Hills to the west, the Santa Monica Mountains and Chalk Hills to the south, the Verdugo Mountains to the east, and the San Gabriel Mountains to the northeast. The northern Sierra Pelona Mountains, northwestern Topatopa Mountains, southern Santa Ana Mountains, and Downtown Los Angeles skyscrapers can be seen from higher neighborhoods, passes, and parks in the San Fernando Valley. There are a number of neighborhood city parks, recreation areas and large Regional Open Space preserves in San Fernando Valley. Many preserves are maintained as public parkland by the National Park Service’s Santa Monica Mountains National Recreation Area, the California State Parks, and local county and municipal parks districts. According to the United States Census of 2012 San Fernando Valley had 1.77 million inhabitants. The racial breakdown was 41.0% non-Hispanic white, 41.8% Hispanic or Latino, 4.6% African Americans and 12.7% Asian.